Taking pen in hand, or fingers to the keyboard you create your work of art. The story is finished and the last period is punched. The next step is to submit your work to a publisher. Warning: Perfect your manuscript! Read the story again, looking for common errors, such as those found in spelling and basic punctuation. If the publisher considers the final manuscript to be worthy of further review, he may ask you to rework and resubmit the story for subsequent consideration. Good for you! You’ve got the publisher’s attention and your manuscript is one step closer to acceptance. Now the serious work begins. 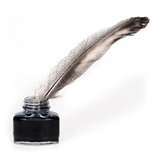 Although publishers often provide editorial advice, the hands-on work must be done by the author. An author must be willing to accept constructive criticism and leave his mind open to the possibility that his work is not perfect – at least not in the beginning. Following are a few suggestions that will make the editorial process go smoothly. 1. Little things can mess up a nice manuscript. Clutter words, better known as crutch words can slow the pace of your story, weary your reader, and frustrate your publisher. Get rid of the excess verbiage. Do not over-use words such as “that, the, and, but, as.” A writer should have a strong command of vocabulary. Scan your manuscript and cut crutch words. You will be amazed at the number of unnecessary words you identify. Try not to use a single word more than two or three times on the same page. 2. Inactive verbs are a major no-no! Get rid of “to be” verb forms, such as was, were, had begun, etc. Use action verbs instead. Go through your manuscript and circle inactive verbs in red. Rewrite the sentences incorporating high action verbs. Be creative. Avoid dull or overused words. Instead, concentrate on movement words such as, “he played, she jumped, they danced!” Get those characters moving! 3. Point of View (POV) errors are common. Be cautious about bouncing around and switching a character’s point of view. This is a costly error giving your writing an amateurish quality. Stay in the mind of the character you are presenting. 4. Simple punctuation errors can be the death of a good story. If you are careless enough to use improper punctuation, the publisher will not care whether or not your work is published! Invest the extra time needed to ensure your work is as clean and complete as possible. The publisher will more likely view your work as professional. Editing is hard work, but worth every single second you spend in finessing your manuscript.